Grotzinger, et al., Habitability, Taphonomy, and the Search for Organic Carbon on Mars, Science, 343(6160):386-387, doi:10.1126/science.1249944, 2014. Zeitlin, C., et al., Measurements of Energetic Particle Radiation in Transit to Mars on the Mars Science Laboratory, Science, 340(6136):1080-1084, doi:10.1126/science.1235989, 2013.Hassler, D.M., et al., Mars’ Surface Radiation Environment Measured with the Mars Science Laboratory’s Curiosity rover, Science, 343(6169), 1244797, doi:10.1126/science.1244797, 2014. Mahaffy. 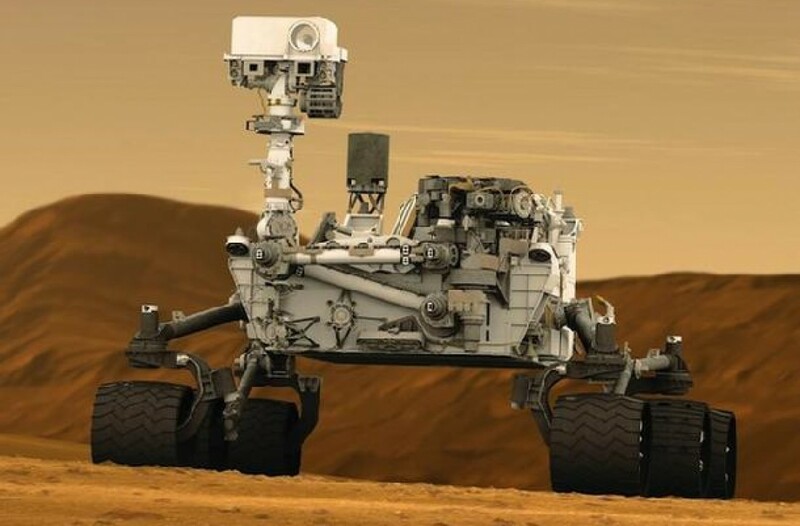 P.R., Abundance and isotopic composition of gases in the martian atmosphere from the Curiosity rover, Science, 341(6143):263-266, doi:10.1126/science.1237966, 2013.Webster, et al., Mars Methane Detection and Variability at Gale Crater, Science, 347(6220):415-417, doi:10.1126/science.1261713, 2015. #6 Curiosity Finds Evidence of An Ancient Streambed: The rocks found by Curiosity are smooth and rounded and likely rolled downstream for at least a few miles. They look like a broken sidewalk, but they are actually exposed bedrock made of smaller fragments cemented together, or what geologists call a sedimentary conglomerate. They tell a story of a steady stream of flowing water about knee deep.